Richard purchased his first London property back in 1977 and acquired his first investment property in London in 1990. During the 90’s he travelled extensively worldwide with his publishing career in the International Education and Technology sectors. By 2000 Richard had fully recognised the opportunities to be gained from property investment and began to acquire a portfolio of residential properties in the north east of England, a strategy that he continues with today alongside property development in north London. 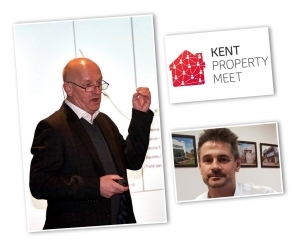 As Editor of ‘Property Investor News’ over the last sixteen years, Richard has been a sought after speaker at many national property investment and regional landlord events since 2002, and his views are widely recognised and valued, most importantly of course by the thousands of regular subscribers to ‘Property Investor News™’. In this recently updated presentation Richard will summarise current market trends for landlords and developers around the UK. He will also highlight some specific investing strategies which he sees as viable in the current market based on his own experiences. As Editor of Property Investor News, Richard often sees trends emerging long before the ‘herd’ catches on and he will highlight some recent case-studies as evidence of good practice for attendees to learn more about. 9 month annual passes now available to purchase which are the best value price for the meetings.